HomeClass XII nominations are now open! Class XII nominations are now open! 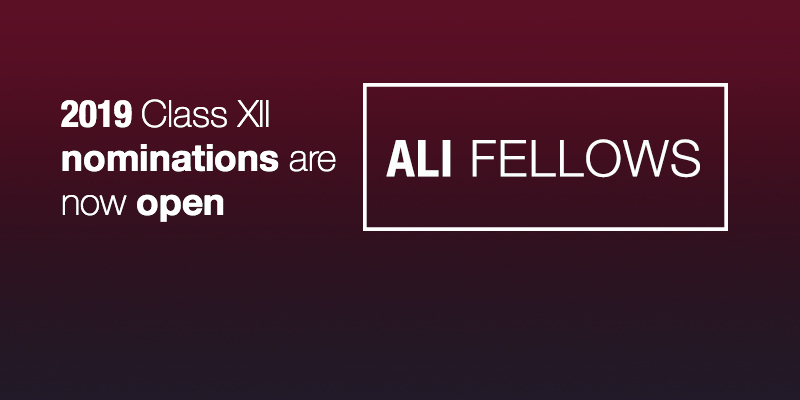 It gives me great pleasure to announce the call for nominations for our next Class of ALI Fellows, Class12. Class 11 is graduating in September of this year, and we can be proud to be adding another powerful cohort of connected Fellows to the South African network. At the Africa Impact Forum last year we agreed that we would consciously expand our reach from ALI South Africa to ALI Southern Africa. To this end, we will accept nominations from SADC countries. This approach will be trialled, and we hope to find three or four non-South African Fellows for this class. We have often had Class members from outside SA, and this helped bring an “outsider” perspective to our debates. With this development that will be maintained and increased for South Africans and we will be contributing to viewing the SADC citizens as insiders with whom we share a common history and future. I look forward to receiving many nominations of the highest quality! The impact we have sought – and are achieving more and more – is dependent on conscious, informed Fellows in an influential network. Please note that the deadline for nominations is May 31st, 2019.